12v Fridge. Fridge Freezer. Caravan. Boat. Motorhome. Ideal for the Caravan, motorhome and boat market 12v fridges run ultra efficiently on a 12v battery. 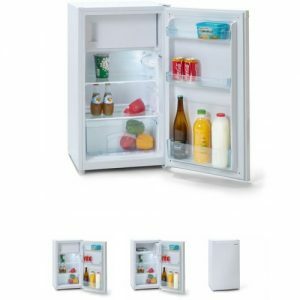 Different from a 3 way fridge which is built around LPG gas, 12v and 240v AC power which is useful but in essence they are inefficient and known for troublesome operation. 12v Fridges are ultimately the same type of fridge you probably have in your house and use compressor technology to cool. The advantages here are that they are very reliable, use very little power and do not have the requirement for external ventilation. 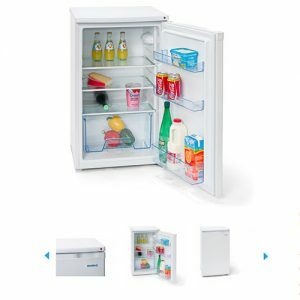 We recommend Webasto fridges, Waeco fridges (part of the Dometic fridge group) and Shoreline fridges. Please take note of the dimensions to ensure the fridge fits into the space required and has a suitable ventilation around the back for cooling airflow. Products below are the most popular of each range however are have many options available to us so please call or email us if you do not see a fridge that matches your requirements.